Lagos State Emergency Management Agency (LASEMA), says it received a distress call via the CRM on Wednesday regarding an accident at Alakija area in Lagos. Investigation conducted by the agency’s Emergency Response Team at the scene of the incident revealed that a 40ft container with reg number KRD 526 XP lost its brake and rammed into a commercial mini bus with reg number EPE 972 XH, as well as okada riders at the bus stop. 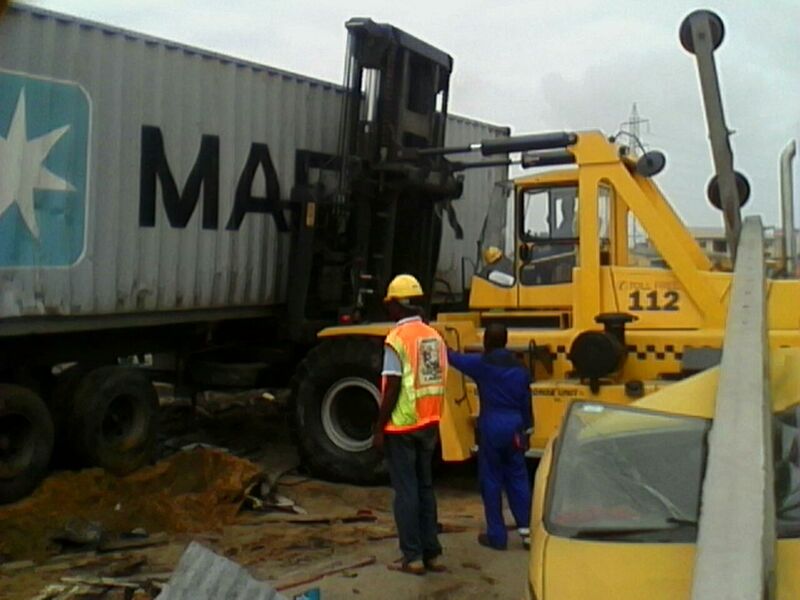 LASEMA officials at Cappa in conjunction with the Lagos state fire service, the Nigeria police force, Lastma officials, FRSC, LASAMBUS and officials of CCECC Construction Company were involved in the recovery operation. LASEMA spokesman, Kehinde Adebayo, in a statement, said the commercial mini-van and seven commercial motorcycles (Okada) were badly damaged as a result of the accident. “Five persons were involved in the accident comprising 3 dead (all male, adult) while 2 persons sustained severe injuries and have been taken to the hospital for treatment.